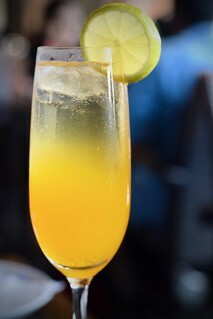 A bright and breezy Bangalore afternoon, a glass of chilled mimosa, nice breezy open setting, overlooking the beautiful footpath and people walking down the church street and sizzling hot sizzlers. I happened to be at 20 feet high’s church street outlet at the sizzler festival. The place is beautifully located on the church street, which looks even more so fancy after being modelled. The restaurant is open and such that it is a sheer bliss on a breezy day, which is most days in Bangalore. 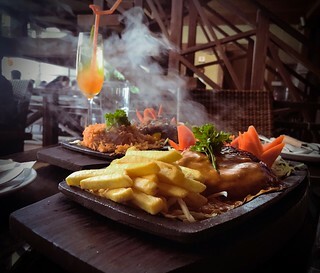 They have a special sizzlers menu which has a variety of veg, chicken, seafood, lamb and beef steaks at very very nominal prices. There is a moderate variety of sauces. 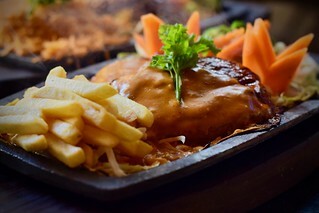 I tried the grilled chipotle chicken sizzler which was served with fries and sauteed vegetables. The liked the juiciness of the steak and the sauce. 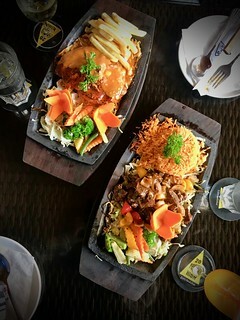 From my friend’s plate, I also tried the grilled cube steak sizzler. I liked the sauce and steak. It was quite tasteful. The prices of sizzlers range between 375 and 479, which I think is quite reasonable for the taste and place. Accompanied by some delicious cocktails here, you’re going to have a great time. !